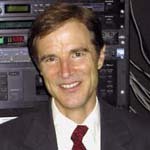 Roger B. Dannenberg is Professor of Computer Science, Art and Music at Carnegie Mellon University. Dannenberg is well known for his computer music research, especially in programming language design and real-time interactive systems. In the language area, his chief contribution is the use of functional programming concepts to describe real-time behavior, an approach that forms the foundation for Nyquist, a widely used sound synthesis language. His pioneering work in computer accompaniment led to three patents and the SmartMusic system now used by over one hundred thousand music students. He also played a central role in the development of the Piano Tutor, an intelligent, interactive, automated multimedia tutor that enables a student to obtain first-year piano proficiency in less than 20 hours. Other innovations include the application of machine learning to music style classification and the automation of music structure analysis. As a composer, Dannenberg’s works have been performed by the Pittsburgh New Music Ensemble, the Pittsburgh Symphony, and at many festivals. As a trumpet player, he has collaborated with musicians including Anthony Braxton, Eric Kloss, and Roger Humphries, and performed in concert halls ranging from the historic Apollo Theater in Harlem to the Espace de Projection at IRCAM. Dannenberg is active in performing jazz, classical, and new works.